‘At one point in Jenny Erpenbeck’s remarkable novel, The End of Days (Aller Tage Abend), a woman who is falling to her death thinks of how thinks of how, throughout her life, she had done things for the last time without knowing it. “Death was not a moment but a front,” he thinks, “one that was as long as life.” As in the books of W. G. Sebald, life and death in Erpenbeck’s novel are separated by so thin a membrane as to render both a kind of purgatory. But the coexistence is uneasy—something as immeasurable as death doesn’t seem to fit naturally within the measured limits of a life, nor does the intimate clock of a lifespan appear to synch with that of historical time. In this book, Erpenbeck is most interested in what can be recuperated from the space between. ‘Published in Germany in 2012 and now available in a careful English translation by Susan Bernofsky, the novel takes its German title from the saying “Es ist noch nicht aller Tage Abend,” meaning: “It isn’t over until the end of all days.” It begins with the burial of an eight-month-old Jewish girl in a small Galician town around the year 1900. The child’s mother stands by the grave and, as each handful of dirt is thrown in, mourns the death of the girl, woman, and crone the baby might have become: “She doesn’t know how she can bear it that her child’s death still persists, that from now on it will persist for all eternity and never diminish.” As a result of the death, certain events unfold: the baby’s “goy” father emigrates to America; the mother learns that her own father was killed in a pogrom; the family is torn apart. But Erpenbeck is less interested in what happens than in how the story intersects with what might have been, giving life to the possibilities foreclosed by, but nonetheless coexisting with, the child’s death. In an “Intermezzo,” she imagines the way things might have been different, “if for example the child’s mother or father had thrust open the window in the middle of the night, had scooped a handful of snow from the sill and put it under the baby’s shirt,” allowing the girl to breathe. With this small exchange—a handful of snow for a handful of dirt—Erpenbeck finds an exit from fate, a layer of freedom hidden inside—or under—events. In each of the four chapters that follow, then, the girl survives, living out another stage of life as her mother imagined: an impulsive teenager in Red Vienna, a young wife in Moscow haunted by the Stasi; a middle-aged Soviet author in East Berlin; a befuddled elder spending her last days in a nursing home. These lives, too, are lost for the smallest, most contingent of reasons—the road is iced up; she gives someone a hug; she walks downstairs five minutes too soon—and each of these chance errors is caught up in the vastness of historical events: There is ice on the road because the men who would clear it have been lost in the war; the receiver of hugs is a Trotskyite. 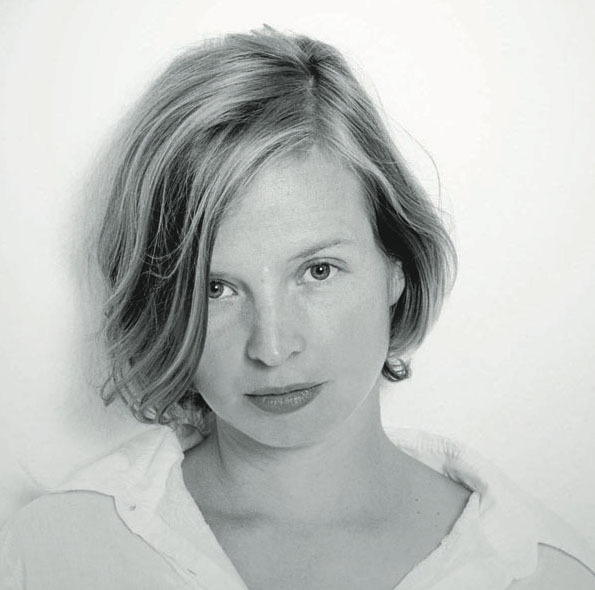 Jenny Erpenbeck: My mother died and that was the only thing I could think about, so I decided to write a book about all the things I was dealing with. The finished piece turned out to be a book about the opportunities that someone can have in life and the different ways that he or she can go. I have to say it was Grimms’ Fairy Tales. I love to read fairy tales of all kinds and from all countries and of course translated fairy tales as well. But the Grimms’ (Fairy Tales) is the first book a German child is given to read. When I was older I read another version of Grimms’ Fairy Tales that is not meant for children. I think there is so much fantasy of the real people in the book. I think it was one of my main influences. In a review of your novel Visitation, Alfred Hickling said that your novel had attempted to compress the trauma of the 20th century into a single address. To start then, a big question: how has history affected your writing? I think I always start with a very personal issue. Then, once I start to look at it closely, it becomes historical. Things become historical, just by looking at how they came about. It’s not that I start with the idea of telling a “historic” story. I think history infects the lives, the very private lives, of people, so you cannot remove something from history, even if you just want to tell a story. It gets in here and there. I think that this was what happened when I started to write Visitation. I started with my own story about the house, and then I saw that there were so many stories involved. Stories that occurred long before I came to the place that I write about. All of a sudden I was in the middle of the German history without having thought about it. You have a character in Visitation who carries her typewriter with her everywhere. It seems like a very fitting symbolic burden for needing to write wherever you go. Probably it gives the feeling of being at home no matter where you are as long you have your own device to tell stories or to make sense of what happens around you. Both The Old Child and The Book of Words are in a way written from the perspective of a young girl. Why do you write about girls? Actually, both characters are not children and are not young girls. They are adults looking back or trying to invent a childhood. I think that the woman in The Book of Words is looking back and searching for traces of lies in what her parents told her. She tries to make sense of her childhood, to see if she can find where her parents’ lying began, and to find out the things that were never told to her. I always think it’s a little bit misunderstood because, of course, they do seem to be girls but they are not girls. I think the interest for me was in recognizing that it’s always a hard task to figure out retrospectively what was “you,” and what was “you made by others.” There are so many people putting education into you, and giving you meanings and ideas and stories. You never know if the stories are true. This is the first thing. And there are so many emotions that come from other people. Later on you may tell people: “This is my emotion, my feeling, or my memory of something,” and it’s probably not really yours, it’s your mother’s or father’s or someone else’s altogether. This interested me and I think it’s a very complex thing to be brought up; so many people are needed to form a person and to give them an identity. Then all of a sudden you say “I” or “me,” and this, this makes me wonder. It started I think with the Jewish family from Visitation. I wanted to find out who they were. I went to an archive in Berlin, I found some family members who had survived, and who are still living close to Berlin. There were a lot of archives. I found out something about the architect. Then I found an old lady who had the same type of memories that I have because she spent her childhood there as well. She learned to swim there, and she picked berries from the same bushes as I did. This was a kind of research that was very moving for me. It’s very strange to meet someone who is eighty years old and tells the same personal childhood stories as you. I went to Warsaw to have a look at the place where the Jewish girl died. I went to Treblinka, the death camp where she was probably taken. I found the girl’s letters in a Jewish institute, and lists written by the girl’s parents, which they had written in order to travel to Brazil. I found the same items on another list when the things were sold. I would find a children’s bed on the list, which her parents made in order to immigrate, then I would find the same children’s bed on a list from when it was later sold by the Nazis. It was strange. So you could trace almost everything? This was like an adventure. If I didn’t have to write the novel maybe I would still be sitting in the archives. Archives are places full of treasures, you can always find it if you look carefully enough. Do you think you’ll keep working this way? Starting with an idea and then moving to research? The book I am working on now is also a novel and it has a lot to do with history. I read a lot, a lot of books. Autobiographies and memoirs, some historic books about this or that time. I read parts of the Talmud, just to know what it is. I had to get an idea, because one chapter takes place at the beginning of the twentieth century in Galicia, which is nowadays Ukraine and Poland. I wanted to get an idea of what was important in this time, and, of course, the Talmud was very important for the daily life of every person back then. I read books about Stalin. For one of the last chapters I went to an archive and read some letters written by my grandparents that are stored there, to get an idea of their daily life. It’s not an autobiographical thing that I am writing now. I am trying to follow the way of my grandparents but I have invented stories. I use the way my grandparents travelled from Galicia to Vienna to Moscow to Berlin to write them. Do you read the translations of your books? From time to time. For instance, here in Adelaide I had to do a reading. I don’t read my translated books from the beginning to the end. I am kind of afraid of that. I can’t explain why but it’s strange to read your book in someone else’s words. But every time I have read it, or have had to read it for an audience, I did feel that it was really my book. It was perfectly done. Sometimes her translation is so perfect that I don’t even know the vocabulary she has used. Once I asked someone about a word and he said, “This word exists, but it is a very delicate word.” This I liked a lot because she really thought about what words to use, as it is the same for me in German. I love to use old, almost forgotten words because they can express so much more than the daily used words—and I think she does the same for English. I think you might have similar reading taste as well. I have read that you admire the work of Robert Walser? He is one of the greatest. He is very good. What is it about Walser? He writes very slowly. One of my favourite pieces is The Walk. He is just walking, maybe for one hour or so. He has the whole world in this walk. He describes all the places where he stops for this or that reason. He has to go to the bank to see to his money affairs, then he sees a young girl and wonders about her, whether she will be a great singer or not. Step-by-step he opens up a whole world. The storyteller himself is not always a perfect person: sometimes he’s mean or afraid of something, he has doubts, preferences or aversions. Sometimes it gets almost surreal, but it’s just a walk. Walser is very exact, and he goes into great detail. He’s not fast: he’s just a slow walker. 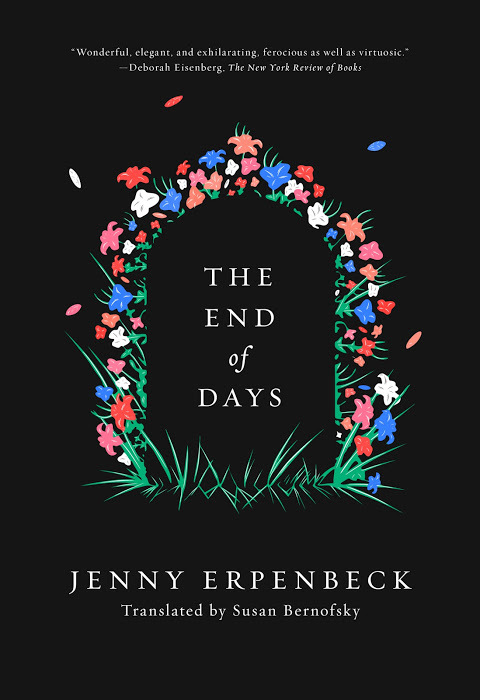 ‘The End of Days, by acclaimed German writer Jenny Erpenbeck, consists essentially of five “books,” each leading to a different death of an unnamed woman protagonist. How could it all have gone differently? the narrator asks in the intermezzos between. The first chapter begins with the death of a baby in the early twentieth-century Hapsburg Empire. In the next chapter, the same girl grows up in Vienna, but her strange relationship with a boy leads to another death. In the next scenario, she survives adolescence and moves to Russia with her husband. Both are dedicated Communists, but our heroine is sent to a labor camp. 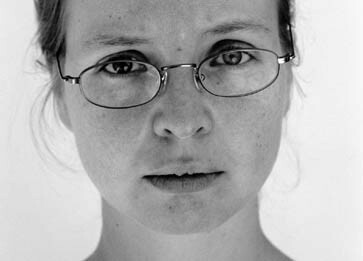 She is spared in the next chapter with the help of someone’s intervention and returns to Berlin to become a respected writer. . . .
Until recently, she’d shared her husband’s view that it was crucial to examine their own ranks meticulously to keep the core stable. She’d reclined on the sofa as he sat in an armchair, reading to her from the thick volume containing the latest report on the court proceedings. After Radek, Zinoviev, Kamenev—the original revolutionaries, once lauded as Lenin’s stalwart brothers-in-arms—Bukharin too had now made a public confession, declaring himself guilty of conspiracy and treason, and had been condemned to death and shot. In his last plea, he’d said: When you ask yourself: “If you die, what are you dying for?” – suddenly a pitch black void appears before you with shocking clarity. There is nothing one should have to die for if one wants to die without repenting. He’d taken this final opportunity to declare his loyalty to the Soviet Union once more. She and her husband had met Bukharin right at the beginning of their time in Moscow. The very first day they got there, he had telephoned the hotel of the Austrian and German comrades who’d just escaped from their own countries, where they’d been in hiding, and personally delivered a piece of bread and bacon to each of their rooms. Would she still have a chance to describe the sound the pages of the thick book made as they turned? Page after page, she heard in the voice of her own husband how living beings were slowly transformed into their own ghosts. Truly we are coming to know one another in the course of these exchanges, we see each other quite clearly. This is my profound insight, what I understand here as a Bolshevik, what I experience: Bolshevism’s power, its intellectual power, is so strong that it forces us to speak the truth. As Communists we should show our faces, in other words show the entire person. You can’t just say that you didn’t have time to be watchful because you had to bring money to your wife at your dacha. When we have been successful in creating a clean atmosphere, we will certainly be able to work cleanly and productively. Only now that she is alone has she begun to ask herself if it really is necessary to radically cut away everything that is weak or gravitates to the fringes. The core of a sphere, her little sister would probably say, the one who was always so good at math, is basically just a point, one whose size approaches infinity on the negative axis. But what was the core? An idea or an individual? Could it be Stalin? Or the utterly disembodied, utterly pure belief in a better world? But whose head was this belief supposed to inhabit if the day came when not a single head remained? An individual could lose his head, she’d still thought two years ago, but not an entire party. Now it was looking as if an entire party really could lose all its heads, as if the sphere itself were spinning all its points away from it, becoming smaller and smaller, just to reassure itself that its center held firm. Approaches infinity on the negative axis. In Vienna her husband used to laugh whenever a theater critic wrote: He wasn’t playing Othello—he was Othello. Old-fashioned was his word for this mania for perfect illusions. He interpreted the flawless melding of actor and mask as the pinnacle of bourgeois deceit, and now, in the Land of the Future, where the labor of all for all had supposedly been stripped of deception, where individual gain resulted in profit for all, such that egotism and tactical maneuvering could be eliminated before they arose, he himself stood accused of duplicity? Had they changed their names so often on the run that their own comrades had lost all memory of what lay behind these names? Why else was there so much talk now of costumes and masks? Or had they, locked in battle with an external enemy, actually begun to turn into this enemy without realizing it? Would this new thing hatching out of them bear them ill-will? Had their own growing gone over to the other side unbeknownst to them? The head of every human being who functions dialectically contains all thoughts. The question is only which of them I let out. Obviously man is guilty. Yet the thought also arises that man is innocent. I cannot escape this dilemma by constantly trotting out the young poet D., who is innocent. It keeps coming down to the same thing: on one hand innocent D., and on the other a random arrest. The man is innocent, and I see that he is innocent, and I help prove his innocence, and then he is arrested, and this means that the arrest was random. But since an arrest is not random, it is therefore proven, on the other hand, that the man is not innocent. Therefore I am willing to concede the point to you. In a case where you are in the wrong. On this bit of steppe, 45.61404 degrees North latitude, 70.751954 degrees East longitude, there are only three months a year without frost. In only a few weeks, the grass will lose this green tint it still displays, it will turn brown, and when the wind blows one of its stalks against the other, it will rustle faintly. Before the first snow falls, tiny ice crystals will cover the blades, and even the little stones on the surface of the steppe will without exception be covered with hoarfrost and freeze together. Once the frost sets in, it will no longer be possible for the wind to blow them about. The weekend before his arrest, her husband had gone to a meeting and, upon his return, in distinct contrast to his usual manner, had said nothing at all about what had been discussed there. It was nearly dawn when he got home, and he did not laugh off her fears, baring his teeth and flicking a few strands of his hair back; she had seen him this tight- lipped only once before, that time two years previous when he learned that his application to be accepted into the CPSU had been approved but hers had not. Now that her husband has been taken away, she knows that when she sits here putting her life to paper, she is playing not just with her own life, but with his as well, and not just with her own death, but also with his, or is she playing against death, or does all this pro and contra make no difference at all? She knows that with every word she writes or does not write she is playing with the lives of her friends, just as her friends in turn, when they are asked about her, are forced to play with hers. I understand that Comrade H. has been living for approximately 3 years with his wife, Comrade H., in Moscow. He met her before this, but 3 years ago is when they entered into matrimony. Has Comrade H. questioned other comrades with regard to her earlier biography, or is she his only source of information? My wife, Comrade H., as many of you know, has been a member of the Communist Party of Austria since 1920. Immediately before her departure to Moscow, she had contact in Prague with the Trotskyist A.
I can’t respond to that, I was still in Berlin at the time. We have not only the right but also the duty to speak about everything we know. Only in his later work did A. develop Trotskyist tendencies. I can assure you that Comrade H. did not identify with him and, above all where his assessment of the Soviet Union was concerned, vehemently disagreed. It seems to me her relationship with A. went beyond mere friendship. In any case, the two of them embraced when they parted on the evening in question, according to the report of Comrade Sch. I can’t respond to that. Answer this question: Could semi-Trotskyist, Trotskyist or oppositional leanings be observed in her? No, not at that time. What does not at that time mean? I have to say that I do not have the impression that this testimony is completely truthful. What’s hiding behind it? Why does Comrade H. not speak freely about the case of his wife Comrade H. in this context? Why does he have to be prompted by additional questions to speak of it? There was no question of any opposition on her part in the sense in which we use this term in the Party. I hope that it is clear to all our comrades how crucial it is for us to spare no effort in critical situations. These bandits who have been torturing our comrades in Germany and sending us their spies must be met with wave after wave of destruction. What if these malfeasants or counterrevolutionaries like A. had managed to point a gun at Comrade Stalin? Comrades, we are faced with the question: peace or war? Would her motherly friend O., with whom they shared their dacha summer after summer, even staying on into September, conceal or admit under interrogation that they had conversed about their doubts regarding the guilt of the young poet D. after his arrest? Might the wife of the author V. (recently condemned to death on charges of engaging in Trotskyist activities and shot) who was now supporting herself as a seamstress and had come to her room for a fitting, really have dug around in her papers when she stepped out to the toilet? Why had R., with whom she and her husband had enjoyed so many excellent conversations about literature early in their Moscow days, been sent off to a post in the German Volga Republic exactly one week before her husband’s arrest? Who was responsible for cutting the final sentence of the review she had written in July for the Deutsche Zentralzeitung so that her critique of the book by mustachioed K. was transformed into its opposite? And was that good fortune or misfortune? She’s long since stopped getting together with the friends she used to play cards with sometimes in those early years, the literary working groups were dissolved two years ago already, and even the assemblies of the German Party members have been discontinued. Her friend C., who used to cry her eyes out in front of her all the time over her inability to have children, recently refused to as much as nod in greeting when she walked passed Café Krasni Mak and saw her, the wife of H., who has been arrested, sitting at the window. During the rehearsals for the last play her husband wrote before his arrest, five of the eight actors were arrested over a period of several days, after which the rehearsals were canceled until further notice. Comrade Fr., the wife of one of these actors, had come up to her yesterday at the café, holding Sasha, her nine-year-old boy, by the hand and had entreated her to take the two of them in for at least a single night. I can’t, she had responded. Without another word, the woman turned and went out again, holding her child by the hand. I can’t. Only a few weeks before, her husband had folded paper airplanes for Sasha during breaks in the rehearsal. So have things really now come so far that all she can do is hope that the secret service agents who seized her husband and took him away are merely traitors, enemies of the people operating under the alibi of political watchfulness, that they are—possibly even in their highest ranks—Hitler’s people? For not only her husband but indeed each of the others whose arrest she has heard of to date was a comrade she had long been close to. She is almost fully convinced now that only if Hitler himself proves to be her adversary, only if this is the case can the antifascists’ hope for a better world to come survive their own mistreatment and death. Or is it perhaps that Stalin himself—disguised as Hitler, who in turn is disguised as Stalin, doubly masked, doubly veiled and thus genuinely duplicitous—is acting as his own agent and, out of fear that in a good world hopes for a better one might be lost forever, out of a fear of stagnation, trying to murder the Communist movement back into hopefulness? Perhaps all of them together are dreaming a nightmare from which there will never be an awakening, and in this nightmare Stalin is the good father who creeps into the bedrooms where his children are sleeping with a knife in his hands. Was given to us for time eternal. Red Army men watch over us. When she gets up again to fetch more hot water from the samovar in the common kitchen for her tea, she runs into Indian comrade Al in the hallway. He greets her but today he doesn’t initiate a conversation. No doubt he too has now heard about her husband’s arrest. Last month, when he was still new in Moscow, she and her husband had gotten into conversation with him while they were cooking, first he had leaned up against the kitchen table, still on his feet, then at some point he sat down on the edge of the table, his legs dangling, and finally he’d drawn his legs beneath him, still talking, like a very much alive Buddha sitting there cross-legged on this worn-out tabletop, upon which the Russians no doubt cut their pelmeni in the age of the Czars, and later Chinese comrades rolled hard-boiled duck eggs in ashes, and Frenchmen dipped meat in a marinade of garlic and oil. She herself, on the occasion of the seventh World Congress two years before, had used this table to make apple strudel for her Danish, Polish and American friends. This congress had been like a powerful amorous coupling, all of them melting into one another, conjoined in their common battle for a humanity finally coming to its senses. After these meetings, she and her husband would often go on deliberating deep into the night, lying in bed, discussing what this new world order should look like, whether it was still an order at all, and what new bonds should replace the old bonds of coercion. Then L. shoved his way in and started shouting at me. I told him to shut up. Then he pushed me over to one side and started touching the front of my shirt. M. says I grabbed hold of him by the shirt. Everyone knows this is untrue. I’ve never grabbed anyone’s shirt, what an idea! There were 8 comrades standing around. I said to L., don’t touch me. L. shouted: Don’t touch me. So then I repeated: Take your paws off me. All of a sudden Comrade M. said: Get your stinking paws off me. Then L started in: You’ll be sorry you did that, I’m going to report it to a Party cell. Then M. shouted: Maybe they’ll wash your stinking paws in innocence for you! Comrade L. has a booming voice, and he really let rip: Just you wait and see what I do with people like you! In the room she inhabited together with her husband for the past three years, in whose emptiness she is now setting foot once more, the yellow tapestry with the embroidered sun from their first Soviet vacation is still hanging on the wall. Every morning she leaves the house before dawn and gets in line in front of Ljubjanka 14, the headquarters of the secret police, to ask about her husband, and after this she goes to Butyrki Prison. In both places the counter clerks slam down their windows in her face. She already wrote to Pieck, to Dimitroff, Ulbricht and Bredel, but no one is able or willing to give her any information as to whether her husband will return, whether his arrest was a mistake or whether he’s being put on trial, whether he’ll be sent into exile or shot. Or whether he’s already been shot. With the arrest of the person who was closer to her than any other, her own life has become fundamentally inaccessible to her . I petition you for acceptance into the Soviet Federation and request that you give me the opportunity to prove myself as a Soviet. p.s. Hey. As semi-anticipated, the p.s. aka I will need until tomorrow to return and catch up with you. 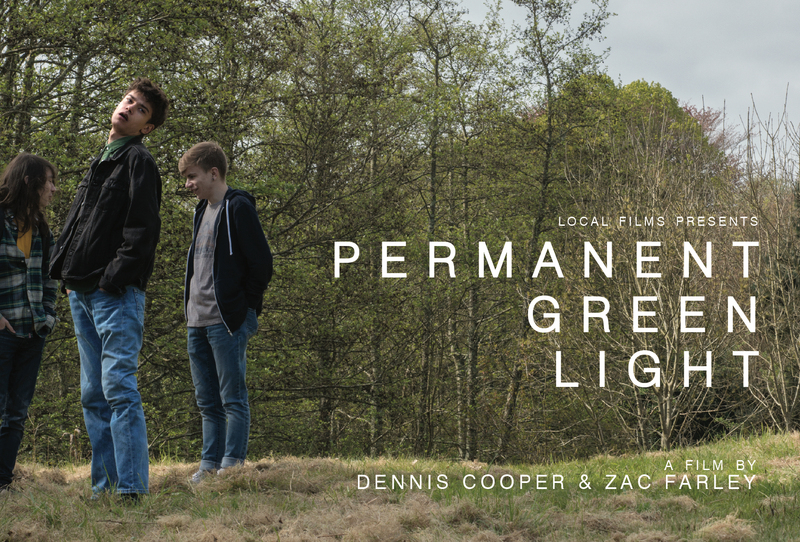 NPR’s Bookworm is devoting an upcoming episode to PERMANENT GREEN LIGHT, and Zac and I are off recording that this morning. For now, turn your consideration to the featured and terrific Jenny Erpenbeck novel, thanks, and I will see you in the morning (my time). I just did a Bookworm as well! Fantastic! And thanks for introducing this author and her work. I don’t know her, until now. Great. I can’t get “PGL” out of my mind! It demands U.S. distribution — some way somehow. Congratulations on the Bookworm appearance, Dennis and Zac! Hope the recording goes smoothly. I enjoyed Erpenbeck’s The Old Child. End of Days looks interesting as well. Been checking out more screenings at SF IndieFest. Level 16 has a very promising and visually stunning first half; unfortunately it succumbed to standard thriller/horror tropes. Oh man can’t wait to hear this Bookworm episode. This writer sounds amazing. Thanks for the massive excerpts. Currently reading Breece Pancake. You read him much?